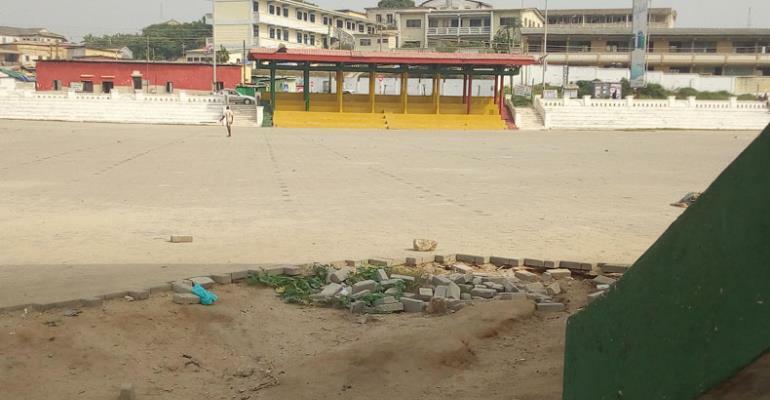 The deplorable state of the Cape Coast Jubilee Park. Fishermen in Cape Coast, the Central regional capital, have taken over the Cape Coast Jubilee Park with just two weeks to mark Ghana's 61st Independence Anniversary. When DAILY GUIDE visited the place, fishermen were seen mending their nets at the facility, which was built ahead of [email protected] 50 celebrations. There was no security man at post, which allowed members of the general public to conduct their activities on the presidential dais and other areas. Electricity and water are non-existent at the Jubilee Park. Door locks, louvre blade and others had been destroyed. The facility has not seen any major rehabilitation since it was constructed about 11 years ago under the previous Kufour administration. The Aglow Women prayer session usually takes place at the Jubilee Park. The Cape Coast Metropolitan Assembly also rents out the place to people to hold funerals and other social events. An attempt by the paper to talk to the head of the Works Departments of the assembly proved futile.